28 game hitting streak for Andre Ethier! Congratulations Andre on your 28 game hitting streak! Ethier is three games away from the Dodgers franchise record of 31 games,set by Willie Davis in 1969. If you are a Dodger fan or a baseball fan you are following the streak on TV, radio, online or by being at Dodger Stadium. 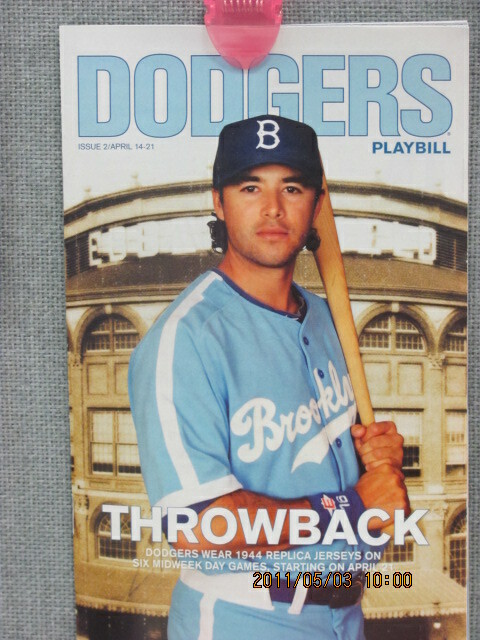 I am heading to the stadium now and tomorrow I am off to go to the 2nd Throwback day for the Dodgers. Go Dodgers! Beat the Cubs! Congrats on Andre the Giant #29 tonight. And have fun at throw-back day tomorrow. I’ll be watching on Extra-Innings. He’s reached the plateau where the media attention starts to get very, very tough. 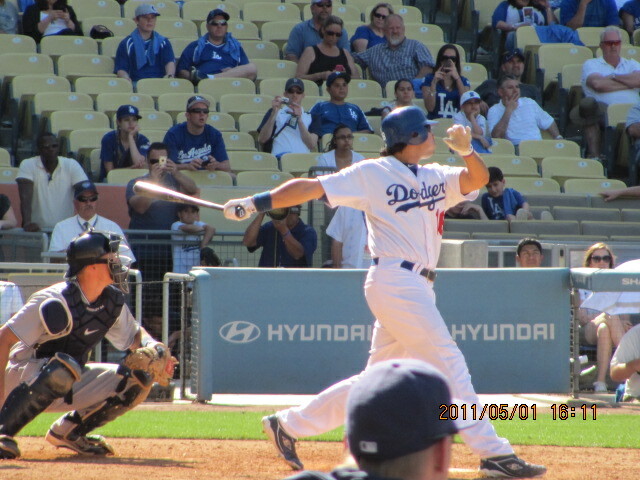 Ethier seems to be handling it quite well though, he’s a fun player to watch. I’m more than happy to see him continue his streak – but only if the Cubs win! Somehow this is the last times the teams face each other until the postseason? 🙂 What a bizarre schedule. Good luck today. And good luck to Andre. Is what we need to do is to try and get Roger Arrieta involved, along with some local newpeapsrs. A great way to do it would be to set up a letter drive. If we could get 50,000 dodger fans to send letters to Dodger Stadium on a certain day, that would certainly make our point. 0Was this answer helpful? What a beautiful hitting streak of your Andre! It covers entire April (except for the first day of the month). Wish him best of luck in the next game. And also wish you a happy Cinco de Mayo! 29 indeed! but don’t put Andre the Giant! We don’t want him to be A Jint! lol. They play bad on the secod Throwback. Hopefully Andre continues his hitting with your team Mike. Going to any of the games? I am sure OBF and Truebluewill will make it to one of those games. Well Andre did not play and your Cubs won so you should be happy. Weird is right that they only meet once at each stadium. Thank you Nao! Hopefully Andre will continue his hitting streak in New York. Wish I could be there. It’s now up to 29…can he break 30 tonight? It was a great streak. Congratulations to Andre Ethier! Of course, I picked him in beat the streak on what would have been game 31 so now I kind of feel like I cursed him, not my intention. I’m not usually that silly about streaks and luck but there it is. It was a great run at 30! We are proud of him. After the streak was over he got back to hitting the following day so that is important. Oh, I am not THAT supertitious (yeah right). you did not curse him. Hey, maybe now he can hit more homeruns and more important win games. He needs to get back to walk-offs!